without restricting freedom of movement. Wide seat for rider comfort. 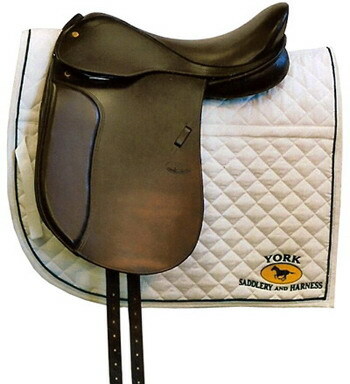 Available with either long or short girth billets. Choice of knee and thigh blocks. contact between rider and horse. Combined knee and thigh blocks and calf blocks are integrated into the single flap. Seat and blocks in smooth or shrunken grain leather. 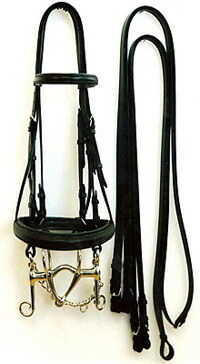 Cavesson or pull-back style noseband. Bit ends in either buckle or hook stud style. 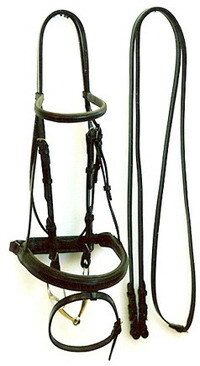 Reins plain, laced, rubber lined or with leather stops. As per snaffle bridle with raised browband and cavesson. Plain bradoon and curb reins. 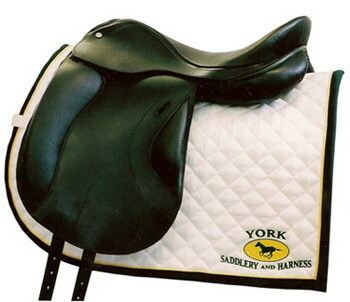 Snaffle or weymouth style with all straps stitched round. Thickly padded with full width layer. Triple elastic ends with loops for billets behind buckles. Safes under buckles with loops or slots for billets. Shaped, with full width layer.